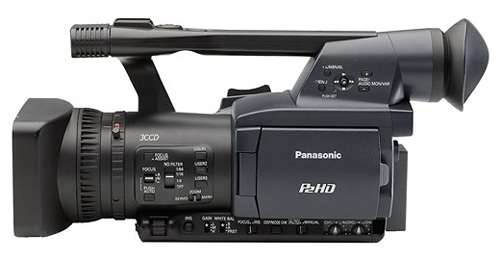 The Panasonic AG-HPX170 is a handheld P2HD camera which builds on the tradition and success of the AG-HVX200. The camera's enhanced sensor provides lower noise levels while increasing sensitivity in low-light situations. Unlike the AG-HVX200, the AG-HPX170 does not include a tape drive, opting for lighter and more durable frame. In this case "less" certainly means more; removal of the deck translates into a variety of extra features, including a 75mm lens with improved wide-angle capability, vector scope, waveform monitor, HD-SDI output, a 6-Pin locking FireWire port, and 3 focus-assist modes.